A Malti-poo is a cross between a poodle and a Maltese. These dogs also go by such names as Malt-A-Poo, Maltipoo, or Malt A Poo. It is one of hundreds of designer hybrid dogs that have become increasingly popular in the last two decades. Many Malti-poos are 50% poodle and 50% Maltese, meaning that both parents are purebred, often AKC registered dogs. Not all breeders are using purebred parents, but rather creating dogs from multi-generation crosses. 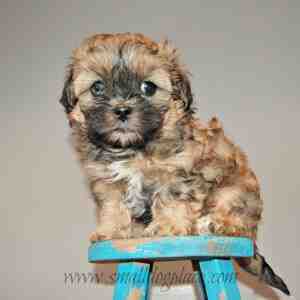 A good example of this would be when a breeder crosses a Malt-A-Poo dog (50%poodle, 50% Maltese) with a 100% poodle. This is when you get dogs that do not resemble true (in our opinion) Malti-poos. 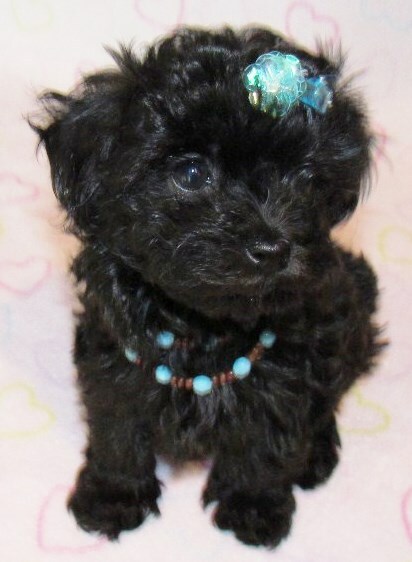 Designer mixes such as the Malti poo have become very popular for many reasons. Words that are used to describe the Maltese--Poodle mix include friendly, intelligent, frisky, playful, energetic, lovable and curious. 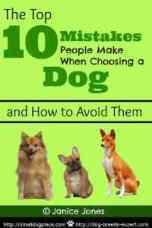 Most of these dogs are smart, playful, affectionate and cuddly. They remain small, non-shedding and make perfect pets for apartment dwellers or those people who prefer breeds that are easy to train, require less exercise, gentle, and are loyal to their people. It is hard to resist the cuteness of a Malti-poo puppy and these dogs generally keep their puppy like characteristics well into old age. 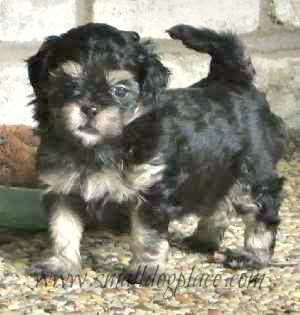 People believe that the malti-poo combines the best of both breeds in terms of health, temperament and appearance. This is not always the case because genetics seems to interfere with any outward observable features. There is no guarantee that characteristics from previous generations may not suddenly appear in the new generation. Genetic traits sort out randomly in each dog, so without selecting for certain characteristics over many generations, there’s no guarantee of getting the best of each breed. With hybrids, this is virtually impossible. Even puppies from the same litter may be different from each other and from their parents. 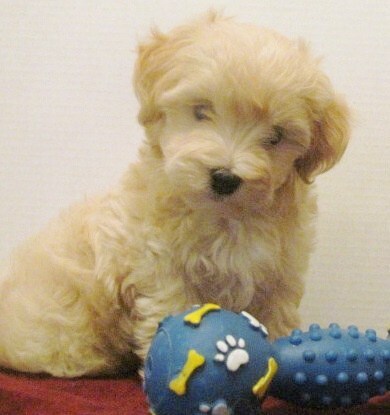 The Maltipoo is usually extremely small, but his size, coat texture, color, temperament, activity level, and health will depend on what the puppy has inherited from his parents. One thing is true with first generation hybrids in general is that it is less likely to get genetically linked diseases that occur when breeding closely related pure breeds. When the puppies are half poodle and half Maltese, you are more likely to get a healthy, vigorous dog and less likely to get a dog prone to developing a genetic disease. 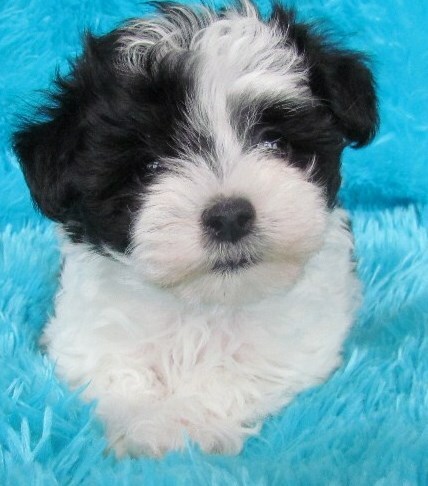 Most maltipoo dogs are generally friendly, love people and are relatively easy to train but there is never a guarantee. There may be genetic problems that emerge from his ancestors, especially if there is no knowledge of grandparents, great grandparents or even great great grandparents. Some puppies are so fun-loving and curious that they become distracted making it difficult for them to concentrate on training for anything more than a few minutes at a time. Most folks who have owned Malt A Poo dogs would agree that their dog is a bit of a barker, making them a good watchdog. They love the company of people including children and so love following their favorite people around. Without training, they may develop separation anxiety issues. Puppies love to nip at shoes and fingers, so this habit must be nipped in the bud when the puppy is very young. Malti-poos love children, but because of their tiny size, supervision is most important. 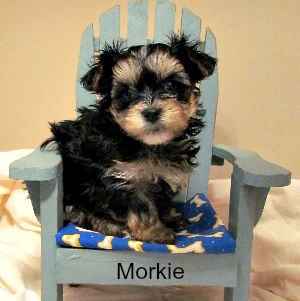 They generally do better in homes with older children unless that puppy is larger as is the case when a Maltese is mated to a Miniature Poodle. The Maltese Poodle Hybrid's hair colors depend on the color of their mother and father and can come in any color seen in poodles. They can be solid or a combination of two colors. 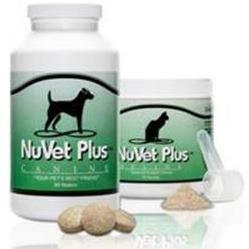 Their coat texture varies from very curly, fuzzy like a poodle to the softer straighter hair of a Maltese. Usually, their hair is somewhere in between making the hair appear wavy. Since most of these dogs have a combination type of hair, it is usually easier to keep their lovely locks short in a puppy cut. It also cuts down on the amount of grooming that might be needed. After all, both parents are breeds that require a substantial amount of daily grooming. American Canine Hybrid Club, Designer Breed Registry and the International Designer Canine Registry.